The COOLPIX S9900 is a more affordable competitor to the best selling Panasonic Lumix TZ70 ZS50 and Sony HX90V. If you're on a tight budget and are prepared to sacrifice a built-in electronic viewfinder, the COOLPIX S9900 represents great value for money - especially considering it sports a 30x zoom, fully-articulated screen and built-in GPS. But bear in mind there are other options at this price point. The Canon PowerShot SX710 HS, like the COOLPIX S9900 has a 30x optical zoom and lacks the electronic viewfinder provided on the more expensive models. The earlier COOLPIX S9700, which is still in the Nikon line-up is also worthy of serious consideration. The Nikon COOLPIX S9900 is a compact super-zoom with a 30x optical range. Released in February 2015 it’s an update to the COOLPIX S9700 which was launched a year earlier. The new model retains the 25-750mm equivalent f3.7 – 6.4 lens of its predecessor along with the 16 Megapixel CMOS sensor. The S9900’s body has undergone a restyle, in part to accommodate a new vari-angle 3 inch LCD screen which is side-hinged and can face in pretty much any direction. Also new is an NFC chip, which allows you to make a Wifi connection by tapping the S9900 with a suitably equipped smartphone. As before, there’s a built-in GPS receiver that, unusually these days, is augmented with a built-in mapping display. 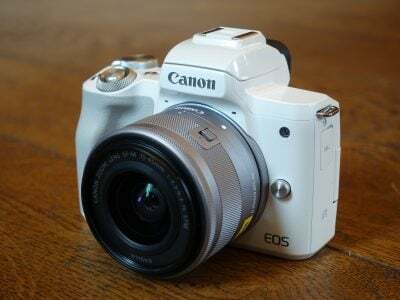 New shooting modes include a time-lapse feature and Short Movie Show Mode which, like the Hybrid mode on Canon PowerShot compacts, assembles a collection of short clips into a longer movie in the camera. Compared with best selling super-zooms like the Panasonic Lumix TZ70 / ZS50 and Sony HX90V, the COOLPIX S9900 is priced very competitively, but it lacks some of those models’ more compelling features, most notably a built-in electronic viewfinder. So can you save money and still get a compact super-zoom that won’t leave you wishing you’d spent more? Read my full review where I compare all three to find out. At 112x66x39.5mm and weighing 289 grams, the COOLPIX S9900 is a little bigger all round and a fair bit heavier than its predecessor. Compared with the competition, the older COOLPIX S9700 was already on the big side. Alongside the Sony HX90V, which measures 102x58x35.4mm and weighs 245g, the COOLPIX S9900 looks bulky and it is – a centimetre wider, nearly a centimetre taller and half a centimetre thicker. I carried the Sony HX90V around in the back pocket of my jeans, a place the COOLPIX S9900 could never dream of occupying. So it’s going to be either in your hand or a capacious jacket or coat pocket, or in a bag. Some of the S9900’s bulk is no doubt due to the fully-articulated screen hinge, but remember while the S9900 has grown since its predecessor, the Sony HX90V has actually shrunk, while boasting the additions of a tilting screen and a popup electronic viewfinder. It makes you wonder all the more why Nikon couldn’t have managed something a little closer in size and weight to the earlier model. That said, a side-hinged screen is a very versatile and welcome addition to the new model, not to mention something that’s pretty unique amongst rivals – remember Sony’s screen only tilts vertically. The new screen on the Nikon is an LCD panel with the same 3 inch diagonal and 4:3 proportions as the fixed OLED screen on the previous model. It has a resolution of 921k dots and displays a punchy saturated image with a good level of detail. The viewing angle is also good, but this isn’t nearly so important as it is with a fixed screen because of course you can flip the screen out and angle it more conveniently if you can’t see it properly. The screen can be angled forwards for selfies (though there’s no special self-timer like on the HX90V) and also be folded inwards to protect it when not in use. Ordinarily I wouldn’t mention the lack of an electronic viewfinder, but both the Lumix TZ70 / ZS50 and the Sony HX90V have small but nonetheless excellent electronic viewfinders so the absence of one on the S9900 puts it at a disadvantage compared with those models. In this respect, the S9900 is more like Canon’s SX710 HS. It isn’t just that some people prefer to compose a shot using a viewfinder rather than a screen, or even that in bright sunlight it’s often the only way you can frame up a shot properly; on a compact super-zoom it can be difficult to frame a subject at the telephoto end of the zoom range using a screen. With the camera pressed to your face and your eye to a viewfinder, things become very much easier. Having said that, as you can see from my sample images, I did manage to get some respectable shots of action subjects with the S9900 at its maximum 750mm equivalent focal length, so it is possible – just not as easy as it is with the Lumix and the Sony. The other new introduction on the S9900 is a command dial; this is situated on the top panel at the right back corner so it’s thumb-operated. The mode dial has moved to the other side of the shutter release and the top panel is now a two-level design, raised on the left to accommodate the Wifi and GPS aerials and the flash. I’ve talked about how much bigger the S9900 is but to be fair it also looks just a little more professional than the earlier model. The built-in flash pops up from the top panel on the left side, activated by a small switch to the right of it. It has a quoted maximum reach of six metres at 1600 ISO, roughly equivalent to the Lumix TZ70 / ZS50 and Sony HX90V. The rear control layout is largely unchanged except that the button previously used to display the map view now activates the Wifi, while the map view button is now relocated to the left side of the body. The movie record button has been moved a little to the left and now sits in a quadrant carved out of the more substantial thumb rest. Talking of which, its enlarged proportions make the S9900 much more secure in your hand, but in case there was any doubt there’s now a much more substantial front grip covered in a soft rubber-like material. Like the Sony HX90V and Lumix TZ70 / ZS50, the COOLPIX S9900 has a mini HDMI port and a USB data and charging port behind a lap on the right side of the body. The battery is charged in the camera over USB, using the supplied AC charger or another suitable source such as a laptop or car adapter. Once fully charged it’s good for 300 shots, exactly the same as the Lumix TZ70 / ZS50, but not as generous as the 390 shots you’ll get from the Sony HX90V. The COOLPIX S9900 retains the 25-750mm equivalent f3.7-6.4 lens of last year’s S9700. It’s common for manufacturers to use lenses in two generations of super-zooms, and Panasonic, Sony and Canon are all at the same point in the lens upgrade cycle; all feature 30x zooms with a more or less equivalent range and maximum aperture. The Sony HX90V is in a slightly different position, though its lens has the same zoom range as its predecessor it’s been upgraded from Sony’s G series to the better quality Zeiss Vario Sonar T* design, take at look at my quality results to see how much of a difference that makes. Aside from that, you’ll notice minor differences in the zoom range – 25-750mm on the COOLPIX S9900 compared to 24-720mm on the Lumix TZ70 / ZS50 and Sony HX90V, with maximum apertures of f3.7-6.4, f3.3-6.4 and f3.5-6.4 respectively. Practically speaking, neither the 1mm at the wide angle, nor 30mm at the telephoto end of the zoom range makes much difference, and the same goes for the less than half a stop difference in the maximum wide angle aperture between the COOLPIX S9900 and the Lumix TZ70 / ZS50. Above you can see the field of view captured by the COOLPIX S9900 at is maximum wide angle and telephoto settings. The COOLPIX S9900 has optical image stabilisation which Nikon calls Vibration Reduction or VR. Vibration reduction is set separately for stills and movie shooting with Photo VR activated from the Setup menu. In addition to the On and Off positions there’s a third option called Hybrid. This combines the optical stabilisation with in-camera post processing to digitally remove any blurring that remains. The digital correction is applied only under certain conditions, including when the shutter speed is slower than 1/30 at the wide angle setting or 1/250 at the telephoto focal length and when the sensitivity is 200 ISO or lower. It looks like Nikon has abandoned the Motion detection feature which automatically raises the ISO sensitivity to enable selection of a faster shutter speed when either subject movement is detected or there’s a risk of camera shake. To test the COOLPIX S9900’s stabilisation I set it to Shutter priority exposure mode, zoomed the lens to its maximum 750mm equivalent telephoto setting and took a series of shots at progressively slower shutter speeds, first with Photo VR turned off and then with it on. As you can see from the crops below, the COOLPIX S9900 can produce blur-free shots down to 1/25 at the maximum zoom range, up to the standards of the HX90V and TZ70 / ZS50, which where also able to get consistently good results with at a 25th. Above left: 100% crop, 4.5-135mm at 135mm, 1/25, 125 ISO, VR off. Above right: 100% crop, 4.5-135mm at 135mm, 1/25, 125 ISO, VR on. The COOLPIX S9900 retains the best quality 1080 / 25p HD mode of its predecessor which is encoded at around 17Mbit/s. As before you can switch between NTSC and PAL compatible frame rates, so all the 25fps modes I mention here are also available at 30fps. Next on the menu is an interlaced 1080i50 mode, followed by 720p25 and lastly a VGA mode that records 640×480 resolution video at 25fps (or 30fps). The earlier model’s 720p mode saved in Apple’s edit-friendly iFrame format has been dropped. The COOLPIX S9700 also has a couple of HS options for playback at speeds other than real time. HS 480/4x shoots 640×480 video at 4x normal speed (100 or 120fps depending on the frame rate selected) which plays back at quarter speed. HS 1080/0.5x records full HD video at half the normal frame rate for double-speed playback. But the earlier model’s HS720/2x option, which records 1280×720 at double the normal frame rate for half speed playback, has been dropped – a decision that makes no sense at all. For me, the higher resolution half speed option is a far better choice than the VGA quarter speed one. But why drop either? It’s not as if the COOLPIX S9900 is brimming over with video modes; It lacks a 50 / 60p option which both the TZ70 / ZS50 and HX90V can offer and the TZ70 has a 4x (quarter speed) 720p slow motion mode. The HX90V admittedly has no slow motion modes of any kind. While the COOLPIX S9900 loses some video modes, it does gain a new movie feature in the form of Short Movie show. This works in a very similar way to the Hybrid movie mode (formerly Movie Digest) found on Canon compacts and records a couple of seconds of 1080 / 25/30p footage which are then assembled in-camera into a longer movie. You can choose between 15 2-second, three 10-second, or five 6-second clips which are then assembled into a 30-second movie. You can shoot 16:9 12 Megapixel Normal quality still photos when the mode dial is in the Short Movie Show mode position, or leave to shoot full resolution photos before returning to pick up where you left off. It’s a neat feature though not quite as user-friendly as Canon’s which shoots a short clip every time you take a photo. The COOLPIX S9900 provides two autofocus modes for movie shooting, Single AF (AF-S), which sets the focus at the beginning of your clip and Full time AF (AF-F) which continually adjusts it. AF-S is the default, but if you want to record anything that’s moving, or if you’re panning the camera from near to far subjects, you need to switch to Full-time AF. The COOLPIX S9900’s full-time AF mode works reasonably well, though it’s a little prone to wandering in some situations. The COOLPIX S9900 doesn’t support any of the PASM exposure modes for movie shooting, regardless of the position of the mode dial and ISO, the sensitivity and exposure are set automatically. In that respect it’s the same as the Lumix TZ70 / ZS50, though with that model you can at least choose a scene mode. If you want PASM modes for movies the Sony HX90V is the model to go for. This clip, like the others below was shot in the COOLPIX S9900’s best quality 1080 25p video mode. For this hand held clip I set the stabilisation to On (Hybrid) and the Autofocus mode to AF-F (full time, or continuous AF). The stabilisation does OK until the S9900 reaches the full extent of its zoom, when it all gets rather jittery. And the Autofocus is prone to wandering, both during the pan and zoom sections of this clip. For this second clip the COOLPIX S9900 was mounted on a tripod and the stabilisation was turned off. The quality of clip which was shot in bright sunshine looks very nice, and the exposure is spot on. The only thing that spoils it is that, once again the Full-time AF is prone to wander. In this case it corrects itself reasonably swiftly. This indoor low-light panning shot starts off at a bit of an angle, my fault, not the S9900’s – though I swear all I had was a coffee! It’s a little noisy, but the COOLPIX S9900 handles the exposure well. This time I’ve set the AF mode to S-AF so there’s no shifting around. You can see the Full-time AF at work in the next clip. For this clip I tested the S9900’s Full-time AF performance by zooming the lens in slightly and panning from the coffee cup on the table up to the bar and back again. This is as good as it got with the S9900, there’s a tiny bit of to and fro, as with any contrast detect AF system, but you have to look closely to notice it – a great result. Finally here’s an example of the S9900’s time-lapse movie scene mode. I shot this using the Cityscape preset which shoots 300 frames over a ten-minute period then assembles them into a 1080 25p movie. I can see why they’ve done it this way (to keep things simple), I just wish there was a little more control over the timing, then I could have extended the time to get the complete ferry crossing back over the river. There are no fewer than five AF area modes on the COOLPIX S9900, more than is usual for a camera in this class, though there’s no manual focus option. Face priority works well when people are within a few metres of the camera in good light. If there are no faces in the frame it defaults to the nine-area AF system which it uses to focus on the subject closest to the camera. Alternatively you can manually select the focus area from one of 99 positions using the multi-selector to move the frame around a 9×11 grid, or set a central focus point. The COOLPIX S9900 includes the target finding AF feature introduced on the COOLPIX S8200 back in 2011. This identifies both human and non-human subjects in the frame when the camera is pointed at a scene. Potential subjects are identified and tracked with green rectangles. If you’re shooting people, face recognition is probably a better choice of AF modes, but target finding does seem to have an uncanny knack for picking the main subject in a scene which for some situations is a real improvement on the nine-area AF mode. Finally, there’s a subject tracking mode which allows you to identify a subject with an AF point which then follows it around. this works well, provided your subject is well spearated from the background, you’re not zoomed in a long way and the subject isn’t moving quickly or erratically. I suspect most people will leave the AF Area on the default face priority mode, which is actually the best option other than in low light when it sometimes pays to use center or Manual AF area selection. Then the COOLPIX S9900 is pretty much guaranteed to lock the focus in a fraction of a second. It takes a little longer if you zoom right in and it has to adjust the focus from near to far, but even then it rarely took as long as half a second. I found it generally got the job done a little quicker than the Lumix TZ70 / ZS50 and a mite slower than the Sony HX90V. Note that when I talk about Manual above, I’m referring to the AF area selection. Unlike the Lumix TZ70 / ZS50 and Sony HX90V the COOLPIX S9900 doesn’t have a manual focus mode. The COOLPIX S9900 has two full resolution modes at 7fps and 2.2fps. The faster of the two shoots a 5-frame burst, focus and exposure are fixed on the first frame for all continuous shooting modes. There are two faster settings that shoot 1280×960 images at 60fps and 640×480 at 120fps. There’s also a clever Pre-shooting cache mode that starts recording when the shutter is half pressed; when you fully press the shutter the COOLPIX S9900 captures a burst of 25 1280×960 frames at 20fps including up to 5 cached frames from before the shutter was fully depressed. As with the movie modes, Nikon has paired down the continuous shooting feature options, removing the Best Shot Selector and Multi-shot 16 modes. This is the same continuous shooting performance that you’ll find on the earlier S9700, so it’s a little disappointing to see it unimproved. The HX90V can shoot at a slightly faster 10fps and for 10 frames. While 7fps is fast enough for many subjects, the short burst time really hampers it – if you get the timing wrong, the action can easily happen after you’ve finished shooting, while the S9900 is busy writing frames to the card. And if your subject is moving towards or away from you, the final frames of the sequence may not be in focus. That said, continuous shooting is a good way to improve your chances of getting one or two good frames from a fast moving subject over using the single shooting drive mode. The shot above is from a sequence of five frames shot in Continuous H mode. When I tested the COOLPIX S9900’s continuous shooting I was able to shoot a burst of five shots at fine JPEG quality at a slightly faster than quoted 7.4fps. New to the COOLPIX S9900 is a Time-lapse Movie mode which shoots a sequence of images at pre-defined intervals and assembles them into a 1080 / 30p HD movie. There are five presets – Cityscape, Landscape, Sunset, Night sky and Star trails. Each shoots 300 images at intervals of 2, 5, 10, 30 and 30 seconds respectively which are then combined into a 10 second movie. You can see an example in the movie section above. The COOLPIX S9900 has built-in Wifi and a new NFC chip means that you can tap it with a suitably equipped smartphone to initiate a connection. So connecting with your smartphone is exactly the same on the COOLPIX S9900, the Lumix TZ70 / ZS50 and the Sony HX90V; if your phone has NFC you just tap it on the side of the camera (but not the iPhone 6, not yet at least as its NFC chip is reversed for Apple Pay only). If you don’t have NFC all you need to do is enable Wifi from the menu then select the COOLPIX S9900’s SSID on your phone. Before you do that, it’s advisable to set up security options on the camera, otherwise you’ve got an open Wifi connection that anyone can tap into. You then have the option of remote shooting using Nikon’s Wireless Mobile Utility app as well as downloading images from the card in the camera. The remote shooting features are pretty basic and it’s a little disappointing to see that they havent changed since last year’s COOLPIX S9700. Regardless of the mode dial position the camera shoots in Auto mode and there’s no exposure control available, not even exposure compensation. You can zoom the lens in fairly stacato steps and there’s a noticeable lag between tapping the control on your phone and the camera responding. Downloading images from the camera’s card to the phone appears straightforward, You can view the images in a grid, get a full screen look at a low resolution preview and select it for download. However, you can no longer download photos at their original size – only VGA or what Nikon Calls ‘Recommended size’ which in my case turned out to be 1440×1080. I just can’t understand why Nikon has done this, sure it’s quicker to download smaller files to your phone and most of the time that’s what you’ll want to do, but it was nice to have the option to for original sized downloads and I don’t see what’s gained by removing it. This is one area in which the COOLPIX S9900 could have been the equal of or even better than the competition. It’s also disappointing to see Nikon failing to improve on the remote shooting capabilities of the S9900 to provide at least some exposure control options if not the ability to shoot in all the PASM modes as you can do on the Sony HX90V. But while its remote shooting via Wifi is lacklustre, the COOLPIX S9900 makes up for it with built-in GPS features that are better than those on offer from the competition. The built-in GPS receiver tags images with lat and long co-ordinates and though these aren’t displayed on screen during playback as on the Sony HX90V, you can display the location on a map display, calculate distances between images or an image and your current location, and display points of interest. There’s also an electronic compass which tags photos with the direction you were facing when you took the shot. The Sony HX90V also includes a GPS receiver and displays the lat and long co-ordinates, but there’s no map. And earlier TZ series models included sophisticated mapping functions, but that, along with the built-in GPS, has been dropped from the TZ70 / ZS50 in favour of an option to sync a track log recorded on your smartphone. so this is one area in which the COOLPIX S9900 is ahead of the competition. In addition to its PASM and auto shooting modes, the COOLPIX S9900 has a Smart Portrait mode which can activate the shutter when a smile is detected and apply skin softening and other effects. There’s also a Easy panorama mode and a fairly good selection of effects filters some of which are shown below. Above left: Toy camera effect 1. Above right: Toy camera effect 2.